It is a stretch to call this a recipe. But it is delicious. Sometimes cooking is about taking beautiful ingredients and doing as little as possible to them. 1. Bring a pan of water to boil. 2. 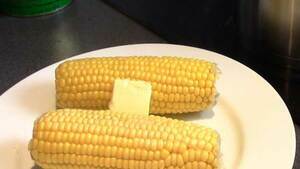 Place the corn in the pan and leave for 9-10 minutes. 2. Remove and serve with butter.